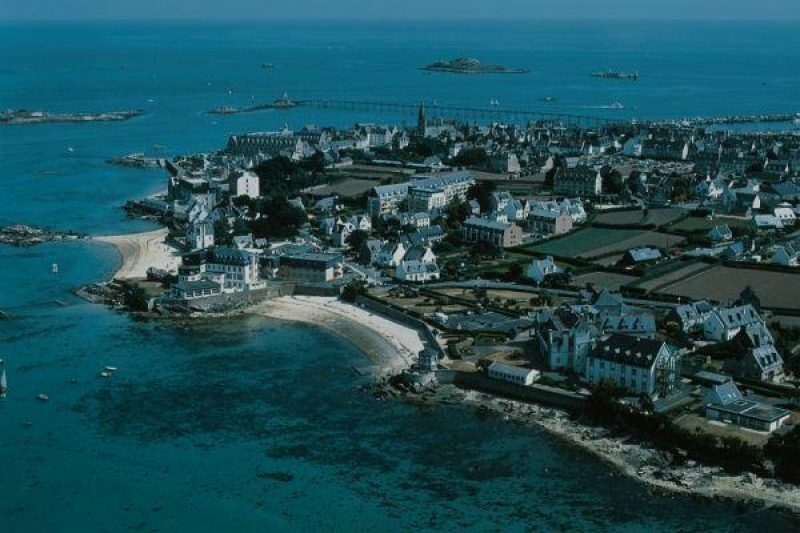 One of the great shames of the location of Roscoff is that it has a port where many people disembark from their ferry when they go on holiday to France and simply drive south. It is a typical northern Breton town of cut-stone character with an Irish-sized population of 3,753 people. A stroll around its historical centre is very rewarding, with its narrow streets and the richly sculpted façades of the houses of the original ship-owners that made its wealth. And did you know that Roscoff is famous for its pink onion (or its AOC-accredited oignon rosé? The Roscovite onion-merchants were the original “Johnnies” who still go across the Channel to England to sell their wares. They just don’t go in for the striped top and black beret look much any more. The food market is a lively affair with plenty of locally-produced food and takes place every Wednesday on the Quai d’Auxerre at the foot of the dramatic-looking lighthouse from 07:00 to 14:00. During the winter months, the market keeps going with about 30 vendors but the summer months see it swell its capacity to about 150. (Related Articles: Lorient Market Guide; Cancale Market Guide; Nice Market Guide; Rennes Market Guide; Toulouse Market Guide; Auray Market Guide, Vannes Market Guide).